PPaul Hamill is the CEO of Inflyte, a new music promotion platform that allows record labels and PR agencies to send out promo records to tastemakers such as DJs and media publications. The delivery happens through mobile pop-up notifications alongside clean and easy-to-digest emails. The releases then can be accessed and rated offline, and the sender gets detailed analytics on the promos’ performance. 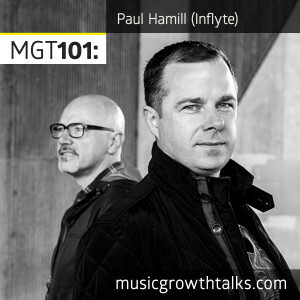 Paul, an experienced music artist who knows the needs of the market well, talks on this Music Growth Talks episode on how Inflyte has been helping their clients get more and better feedback on promo submissions. He also shares a few outreach tips applicable to indie artists handling PR themselves. Listen to the episode for a better understanding of how the promo delivery works both for labels and influencers, and to see if you should consider a new promo platform if you run a record label.